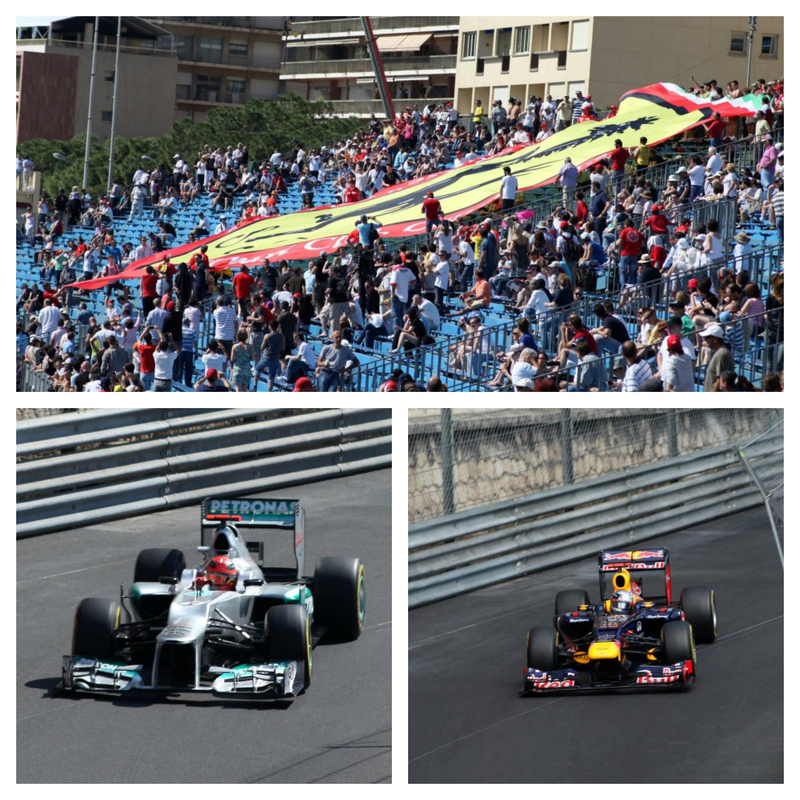 It was late May of 2012, and I was about to do something I swore I would never do: willingly attend a car race. I, obviously, grew up in America, and to me the only car races I was familiar with were NASCAR, which were essentially a bunch of bros making a left hand turn for four hours, right? Occasionally there would be a crash which people apparently hoped for? I think? I don’t really know. I was extremely mistaken. It was good. These were not NASCAR races, these were formula races. And they did more than make left turns. I won’t say I was instantly hooked, but I did find it a lot more interesting to watch than what I had previously considered “car racing.” I got a crash course in all the formula classes, especially the world-class level Formula 1, and over the years I’ve ended up watching several races on TV with his family. Sean’s a huge Ferrari fan, but his favorite driver of all time is probably Michael Schumacher who dominated with Ferrari in the early 2000’s but in 2012 had returned after a brief retirement to racing but was with Mercedes. 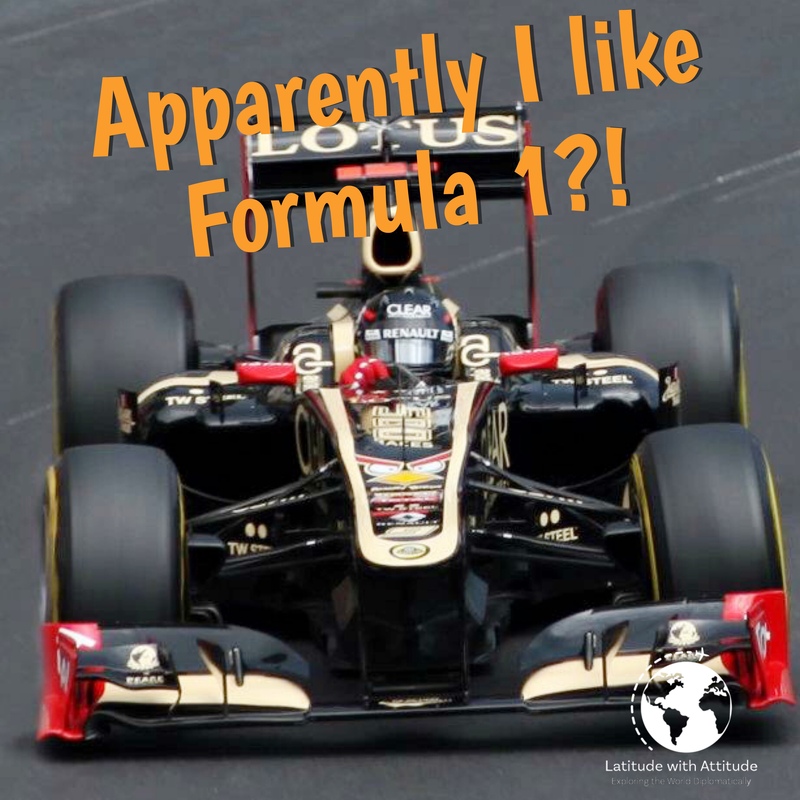 Sean was having an ethical crisis: am I a fan of the team, or the driver? Apparently lines get drawn. It’s serious business. In May of 2012, I had just graduated from college and Sean was finishing up grad school. He was also turning 23, so to celebrate all these things I thought it would be fun to try to get to the Monaco Grand Prix since we were planning to be exploring Europe at the same time anyway. 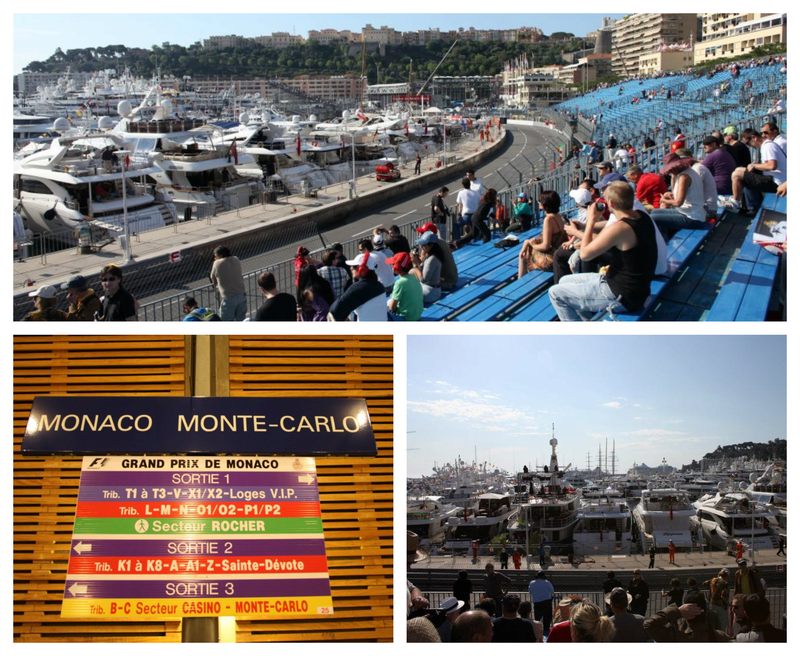 Monaco is one of the iconic, historic races, so it would be even more exciting if we could mange to get there. 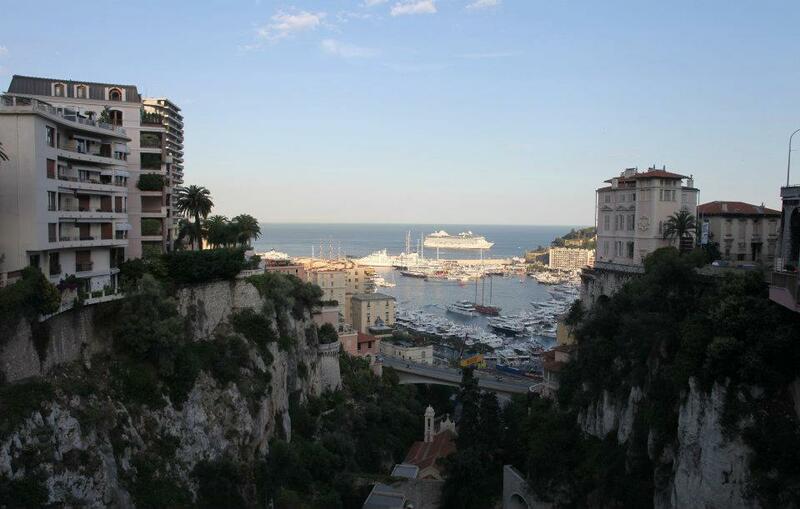 And it’s Monaco. A stunningly beautiful independent state on the Mediterranean Sea. Even if I’m not 100% committed to watching a car race, I’m 100% committed to being near the Mediterranean as often as I can. We ended up only being able to attend practice since Sean needed to be back in the UK for an exam the day after the actual race. We knew France regularly has issues with striking subway and airport employees, we decided it was best to allow a few extra days if needed. Our trip from Paris to Nice was the first of the two major disasters that happened during our three week trip. The second was in Italy and I’ll get to that later. There are lots of low budget airlines in Europe that are perfect for broke college students so long as you don’t mind the feeling that your plane is held together by duct tape and prayers. With this particular airline, when you ask for specific dates it always pulls up a day earlier and later so if your plans are flexible you can perhaps get a slightly better deal. Our plans weren’t for this part of the trip, so we had to be sure to choose the right date when making our purchase. We had accidentally booked our tickets for a day later, so when the gate agent went to scan my boarding pass it refused to let me through. Somehow, though, I had manged to check my bag and make it past several layers of security before that was caught. We luckily were able to re-book the ticket for the flight leaving in a few hours, but our original fare was nonrefundable so we ended up paying to get from Paris to Nice twice. Not great. 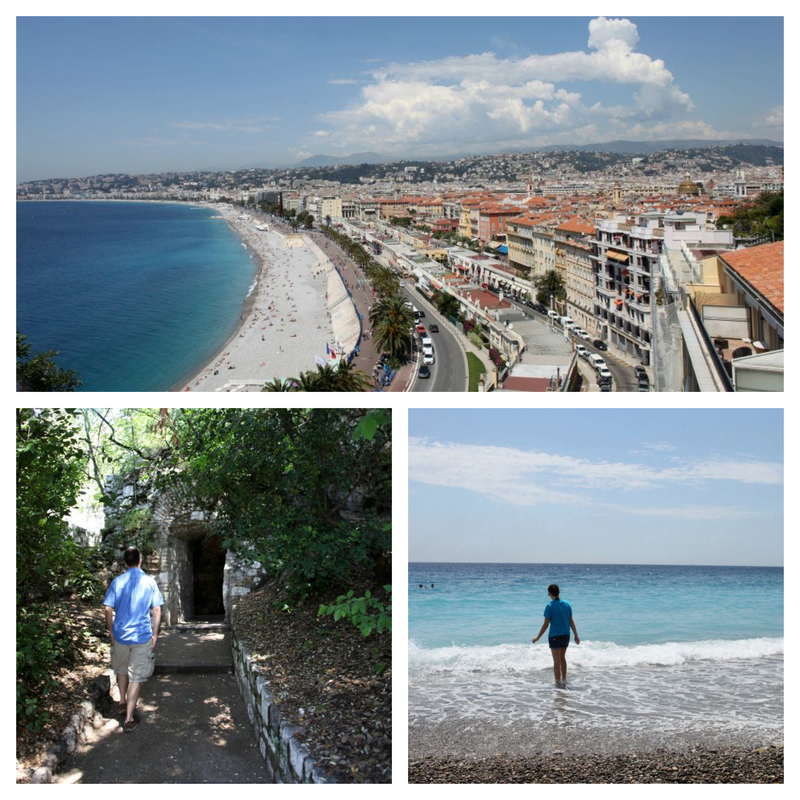 Instead staying in Monaco – because we can’t afford hotel prices on a regular day let alone a race weekend – we stayed in the little coastal town of Nice, France, which was a 17-minute train ride to Monaco. When we arrived we quickly found the auto club with whom I had pre-purchased tickets. Then it was off to our seats. The thing about practice for a Formula 1 race is it’s fairly boring, and the superstar drivers hardly make an appearance. It’s a chance for everyone to get a feel for the track, and test out any modifications to the cars since the previous race. We only saw Sean’s favorite drivers a few times, but it was still pretty neat to see it all up close. We also wanted to stay to the very end since our tickets included a chance to walk the track at the end of the day. Even with sunscreen we both burned to a crisp in the hot summer sun, but it was worth every blister. 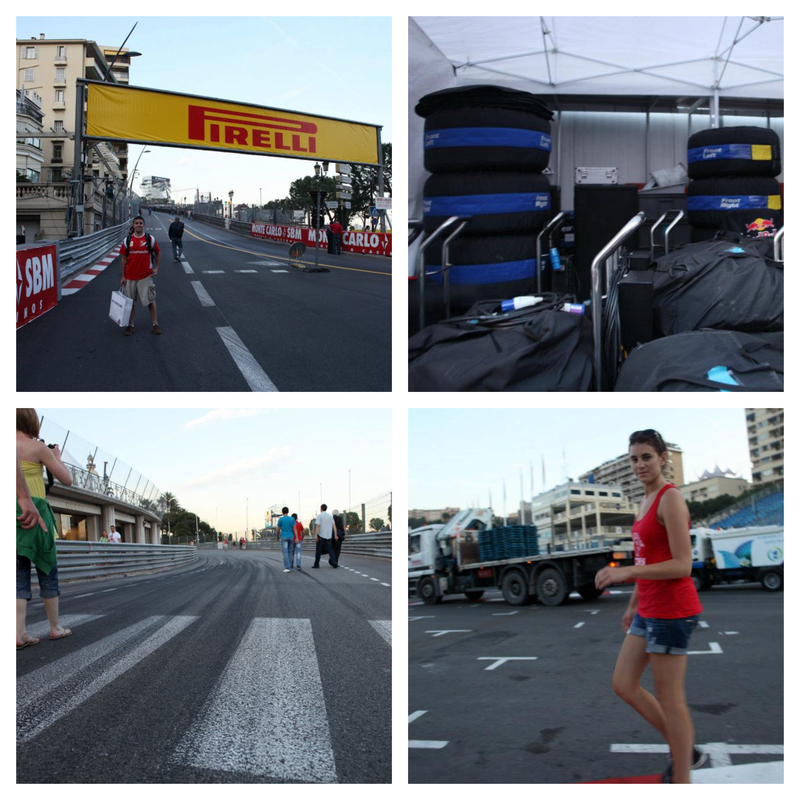 After the track walk, we hopped on the last train back to Nice and went to the only shop still open selling food. I had a kebab for the first time, and I’m still not sure what to make of it. It was good, but also horrible for you, and I think it made me a little sick. And there were french fries in the wrap itself. I’m still confused. The following day we had time to explore Nice before our flight left that evening. I even made a point to stick my feet in the Mediterranean even though the beach was far too rocky and the water was far too cold. Since this little taste of Formula 1, I have said several times to Sean that we need to go see an actual race, and I will say I’ve become ever-so-slightly more invested in the teams and drivers. We live in a divided household when it comes to Formula 1: he remains a steadfast Ferrari fan, but I miiiiiight be a bit more fond of Mercedes. But even saying that feels wrong since I don’t want to be accused of being a bandwagoner. It’s not my fault they keep winning when I finally started paying attention! Oh well. Perhaps we’ll have to jump over to Baku next spring to see where my heart truly lies.